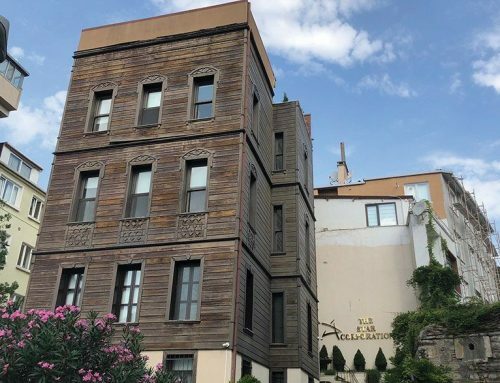 Home/Post/Turning Over a New Tobacco Leaf: How Is Reconstituted Tobacco Made? Anyone who knows anything about cigarettes knows they contain tobacco. What you may not know is that the tobacco that shows up in most cigarettes isn’t pure, whole tobacco leaves. Instead, the tobacco leaf gets supplemented with a product called reconstituted tobacco. Reconstituted tobacco uses a different manufacturing process to make the most of tobacco harvests, as well as to generate the best cigarettes. But if you smoke and you’ve never heard of reconstituted tobacco, you may be curious about what you’ve been smoking. Read on to learn a little more about reconstituted tobacco and the process used to make it. There are three varieties of tobacco used today: burley, oriental, and Virginia. In most cigarettes, the three types are blended, though Virginia cigarettes use only Virginia tobacco. The plants are large, and leaves typically get to be about 60 cm in size. How the plant is harvested depends on the strain of tobacco. For oriental and Virginia tobacco, only the leaves get harvested. Farmers who grow burley tobacco harvest the entire plant, which is then sent to cure. How the leaves get cured makes a big difference in the taste of the tobacco. Burley tobacco usually gets air cured, which takes about two months and happens inside a barn. Oriental tobacco gets cured in the sun, and Virginia tobacco goes through a flue-curing process, which uses a steady flow of hot air. After the leaves get done curing, the tobacco goes through a final round of processing. In this stage, sand and non-tobacco materials get removed, and the leaves get taken off the stems. The stems and other non-leaf parts of the tobacco are what go into reconstituted tobacco. If you’ve ever unrolled a commercial cigarette, you’ve seen reconstituted tobacco. That dark stuff that looks like coffee ground is mostly reconstituted tobacco. Only a little bit of material at the end of the cigarette is actually pure tobacco leaves. This mix of reconstituted, expanded, and pure tobacco gets wrapped up in paper that has burn rings. These help control the burn progress of the cigarette. At the end, you have the filter and ventilation holes that control the amount of airflow in the cigarette. So now that we know about tobacco and cigarettes, let’s get to the real star of this show: the reconstituted tobacco. In essence, reconstituted tobacco uses the leftover bits from tobacco production. 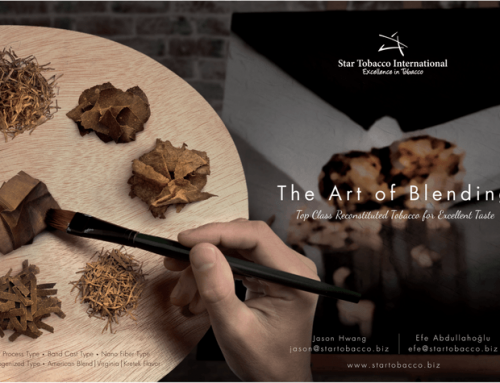 These materials include the stems and leaf scraps that result from stripping tobacco leaves. We’ll talk more about how reconstituted tobacco gets made in a moment. 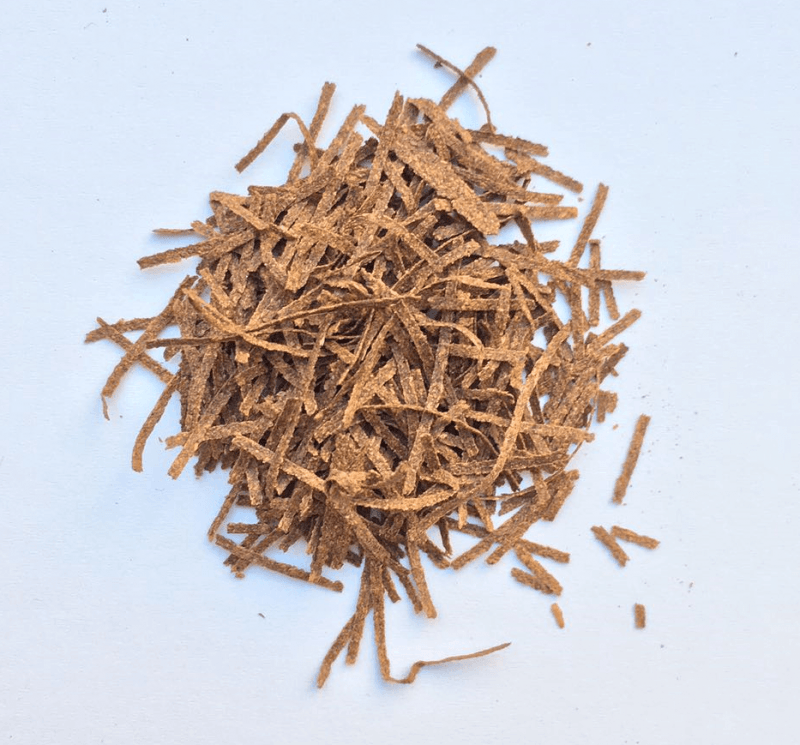 In general terms, the tobacco scraps get ground up, spread out and dried into paper. Not only does this process help reduce plant waste from the manufacturing process, it also cuts down on tobacco dust during production. There are a few different processes that can be used to make reconstituted tobacco. The primary three processes are nano-fiber, paper making, and slurry type. 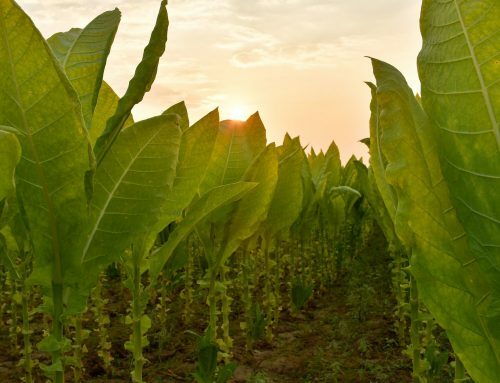 The nano-fiber reconstituted tobacco production process starts with manufacturers grinding the tobacco down and then removing sand and other non-tobacco materials. The tobacco then goes through a mixing process, which includes three stages: solid, liquid, and turbo mixing. After that, it gets laminated into sheets, dried, and cut and packed. Papermaking starts out with a similar process; the tobacco gets ground down and mixed with water. The fiber materials get turned into the paper we mentioned earlier. Once the paper is laminated, they spray the water mixture over the sheets to add the components back in. With slurry type, the fiber materials and soluble materials never get separated. Instead, they all get mixed into water to create a slurry. This gets spread out and has the water evaporated out of it to create the recon sheets. Aside from being a good way to make sure no tobacco materials go to waste, reconstituted tobacco has benefits in cigarette production. For one, it helps ensure a consistent and high-quality cigarette blend. Because the reconstituted tobacco goes through so much processing, it winds up being very homogenous. These sheets of reconstituted tobacco also help give manufactured cigarettes their classic smooth outline. Tobacco leaves would be hard to roll into a smooth cylinder, but the sheets are much neater. 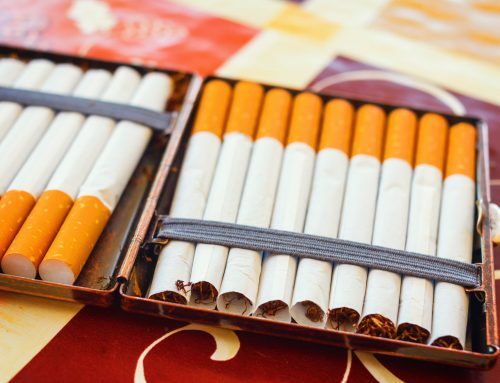 They can create smooth, round cigarettes that fit neatly into a pack, rather than irregular, lumpy ones. Most of all, reconstituted tobacco is a great way to control component ratios. 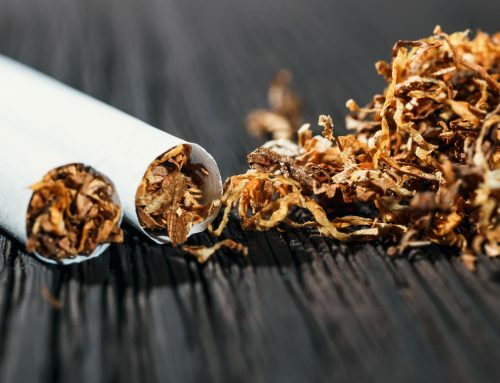 Because some of the manufacturing processes involve reintroducing certain components such as nicotine and sugar, manufacturers can carefully control how much of each substance winds up in the final reconstituted tobacco process. And, of course, we can’t forget the economic benefits of reconstituted tobacco. Think about how much waste there would be if companies couldn’t use the stems and leaf scraps from their harvesting. Reconstituted tobacco helps save money and prevent waste in the tobacco industry. Reconstituted tobacco has a number of benefits to the tobacco industry, not least of which is the extra efficiency it allows. Your cigarettes would not look like they do if it weren’t for this product, and they wouldn’t be as high quality. So next time you light one up, take a moment to thank the folks who patented the reconstitution process. 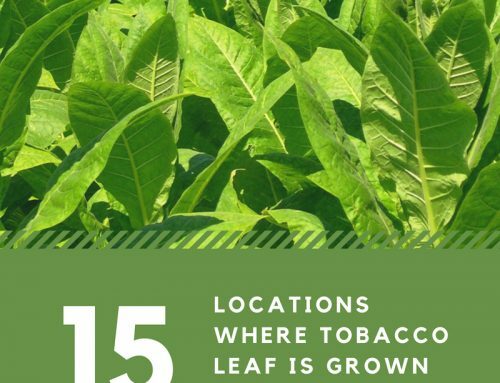 If you’d like the highest quality tobacco leaf products, check out the rest of our site at Star Agritech. We are a globally trusted tobacco provider, and we offer the only nanofiber reconstituted tobacco. Check out our products and get the best tobacco today.